SEOUL • North and South Korea's plan to march together under the same blue-and-white Korean peninsula flag at the Pyeongchang Winter Olympics next month marks the revival of an emblem of warmer ties between the old foes from years past. The two nations will be hoping for some of the same sort of "feel-good factor" they enjoyed at the Olympics in 2000, when they received a standing ovation in Sydney's Olympic Stadium after marching in under the unified flag for the first time. 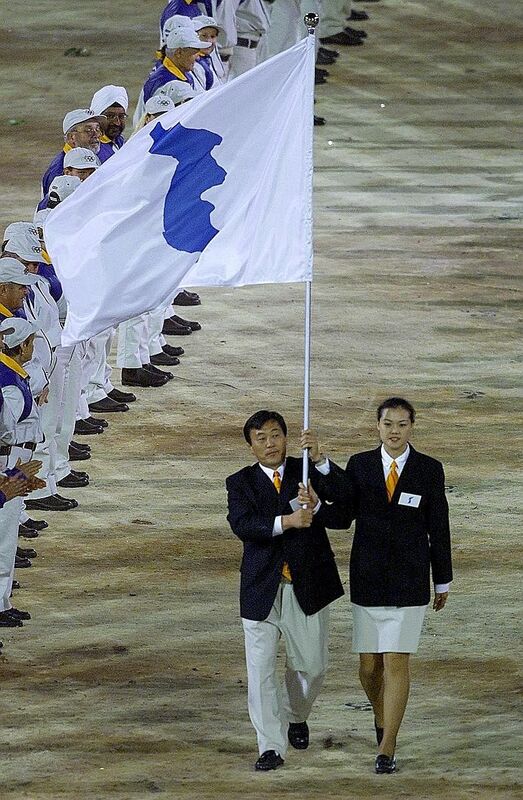 The "Korean Unification Flag", showing the Korean peninsula in blue against a white background, traces its origin to 1989, when the two Koreas agreed to use a new flag for a possible joint team in the 1990 Asian Games. The flag made its first public appearance in 1991 when Seoul and Pyongyang formed a unified team to contest the world table tennis championship in Japan. But a survey released yesterday by South Korean pollster Realmeter showed only four out of 10 respondents said they favour the plan to march together under the flag. "Marching under the one peninsula flag does not bring peace to the Korean peninsula," said one South Korean Twitter user. "We did that 18 years ago at the Sydney Summer Olympics, but North Korea has fired missiles, conducted nuclear tests and killed our own citizens. It is just another political show." Others complained "the Pyeongchang Olympics have already become the Pyongyang Olympics". An agreement to field a joint women's ice hockey team at the upcoming Games also drew criticism. The coach and members of the South Korean team are worried their performance would be disrupted by accommodating North Korean players at short notice.